The use of mining tailings to stabilize the materials normally used in civil works is already a fairly common practice. Tailings are commonly used in landfill layers, in the construction of houses where they replace conventional materials, as well as their use as a filler in the cement industry, among other applications. Thus reducing the exploitation of the deposits and preserving the environment. However, while studies show improvement in mechanical behavior in soils with the addition of tailings, they can also act to contaminate soil and water resulting from excess heavy metals. In this context, the present research aims to evaluate the mobility and availability of the metals present in the tailings. The iron reject studied comes from the Iron Quadrangle and the gold is from northwestern Minas Gerais, Brazil. The studies covered the physical and geochemical-environmental characterization of the material. 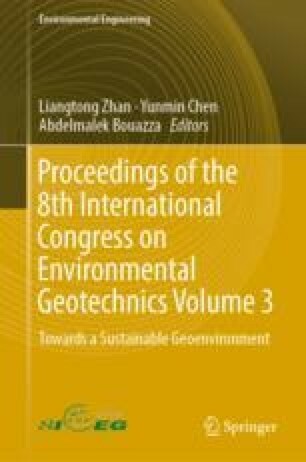 With the results, it was possible to know the characteristics of these materials when they are in contact with water as a means of dissolution, allowing the evaluation of the influence of such aspects on the behavior of the mixtures and to evaluate the potential use of these materials in civil works.